We’re very excited to announce that ftrack will be available for meetings at NAB 2019 – the west coast’s biggest broadcast event – from 6-11 April 2019. NAB continues to be one of America’s largest gatherings for media, entertainment and broadcast technology professionals. We’ll be booking out a suite for meetings, so schedule in some time to meet with us! We’ll be available for meetings at the Renaissance Hotel meeting suite in room 30, floor 11. We’d love to meet up to chat about ftrack, where the product is heading next or anything else that may be on your mind. Meetings with ftrack are available Monday to Thursday from April 8 2019. To schedule a meeting with the ftrack team, please use the calendar available via the link below. 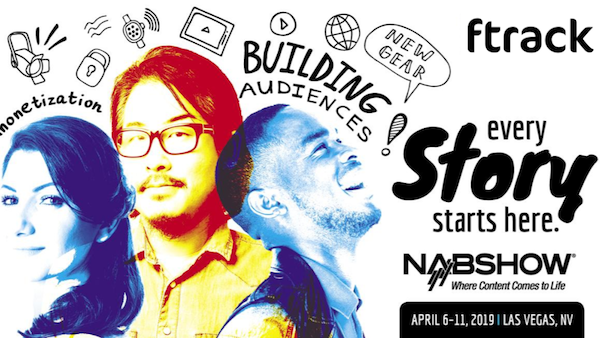 You can also sign up to a free entry pass to NAB 2019 using the link below.